Norumbega Yarn began as a weaving yarn and has remained a favorite for decades – as soon as you feel it you’ll see why! Strong and lustrous, with a bouncy twist, this worsted spun-wool offers softness, strength, gorgeous colors, and ample yardage. Try it in the new Chickadee Woven Blanket and Vacationland Woven Pillows – bring the timeless comfort of a Maine cottage into your home. You may have known it as Botanica, or even Scottish Tapestry… You can learn more about the newly relaunched Norumbega Yarn here – or dive right in to a beautiful new weaving project just in time for cooler weather! Can be woven in panels & seamed. 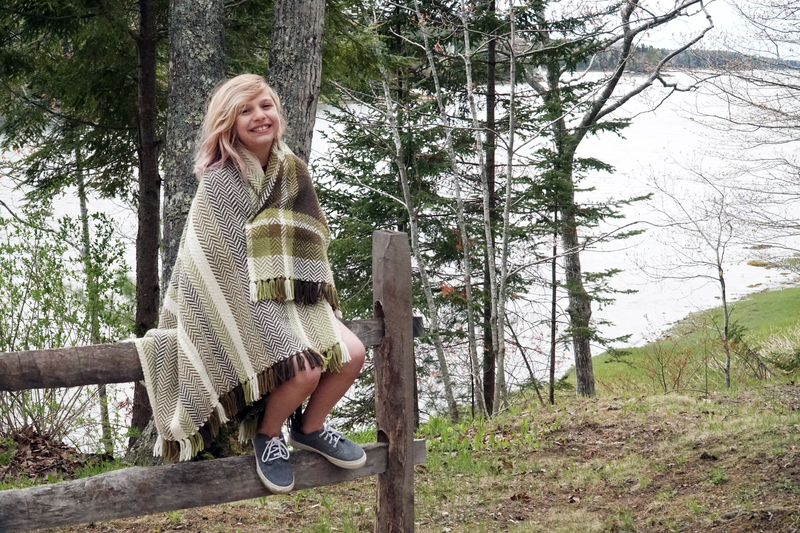 The cozy Chickadee Woven Blanket - Pattern Download will soon be your go-to blanket to keep warm on cool nights. A deceptively easy to weave and delightfully squishy six-point herringbone twill makes this an excellent project for advanced beginners and beyond. 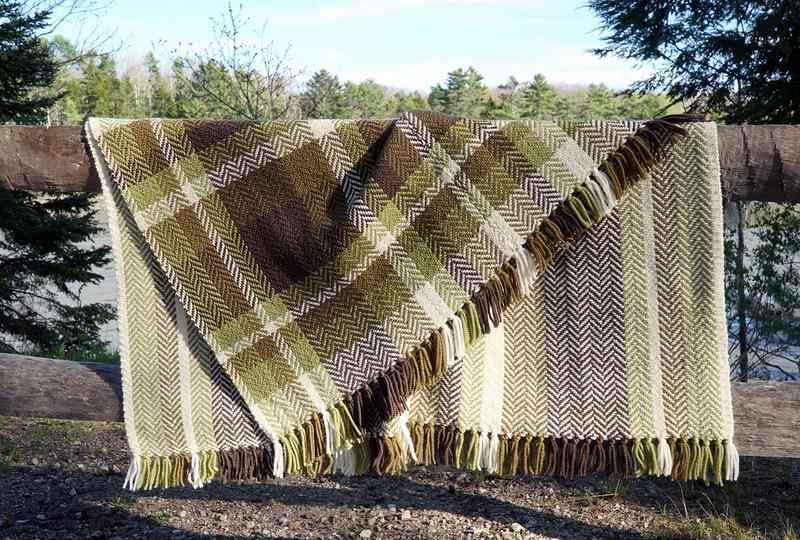 The blanket is woven in two panels and seamed to accommodate narrower loom widths. For the Chickadee Woven Blanket, you’ll need 9 skeins total – three of a main color and two each of three additional colors. The project requires a four-shaft loom with a weaving width of 23″ and an 8-dent reed. 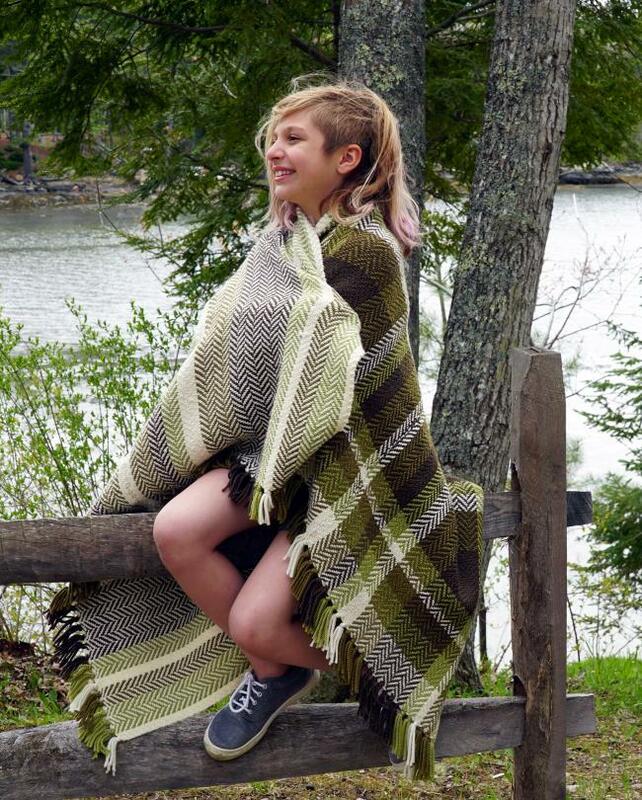 The finished blanket is approximately 50.5″ plus fringe, by 41″ wide. A charming mid-century warmth is easy to bring to your home with the three-color Vacationland Woven Pillows. 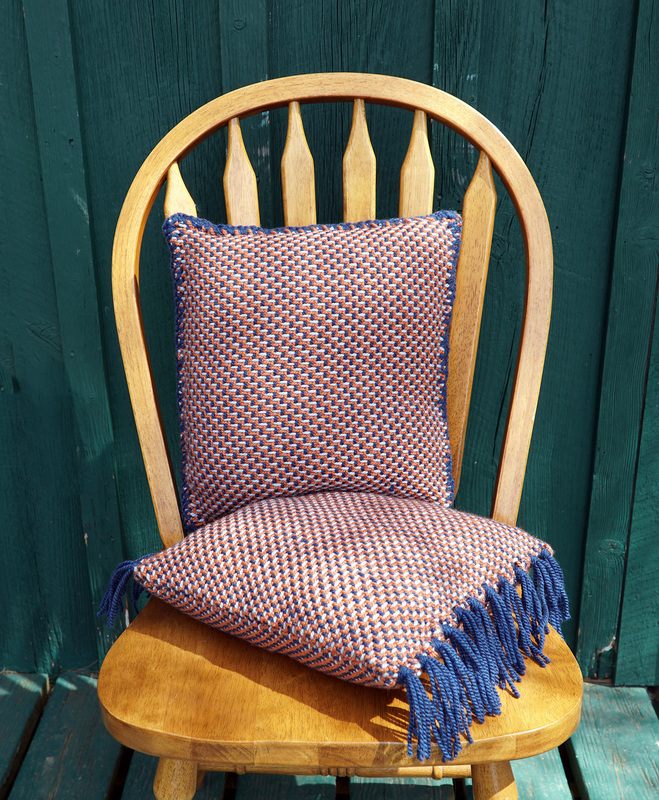 Weave a pair of squishy pillows in a color-and-weave twill pattern. A perfect accent for your bed or favorite reading chair. Keep both or give one to a friend! This project is suitable for advanced beginners and above. You’ll need a four-shaft loom with a weaving width of at least 15″ and an 8-dent reed. 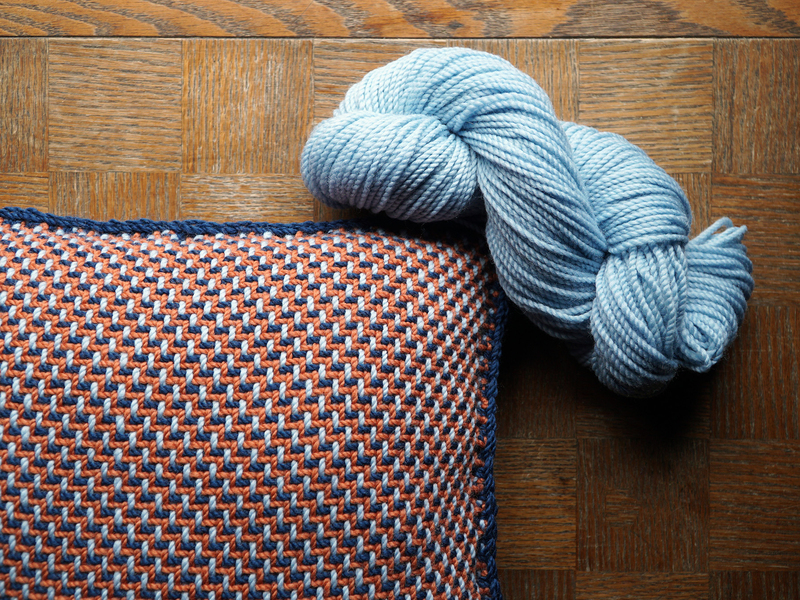 To make two pillows you’ll use two skeins of a main color, and one each of two additional colors (four total). Each finished pillow is approximately 14″ by 14″ after seaming. Weaving Tip: Norumbega is quite stretchy! Be careful not to overstretch by weaving under too much tension, and keep an even beat. After weaving a few inches release your fabric to check that it remains even and adjust your tension accordingly before weaving a full piece. 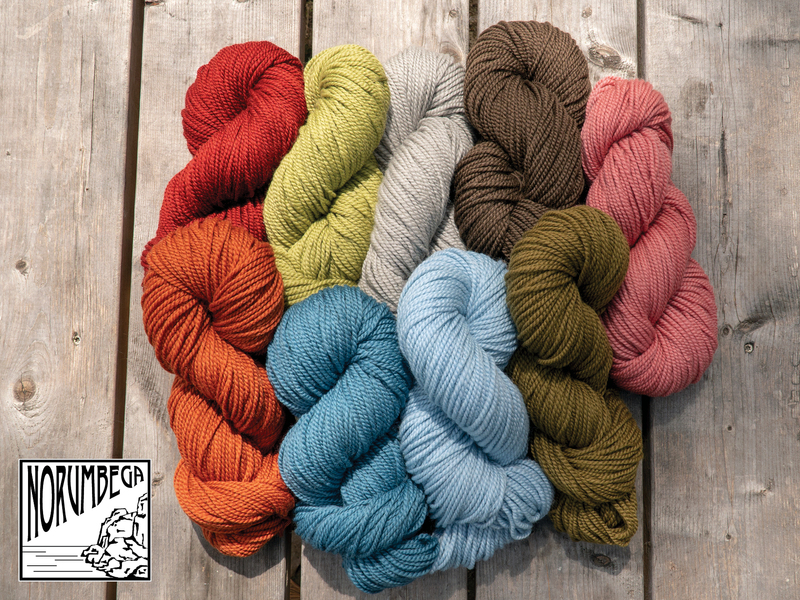 Choose your colors from the Norumbega Yarn palette!